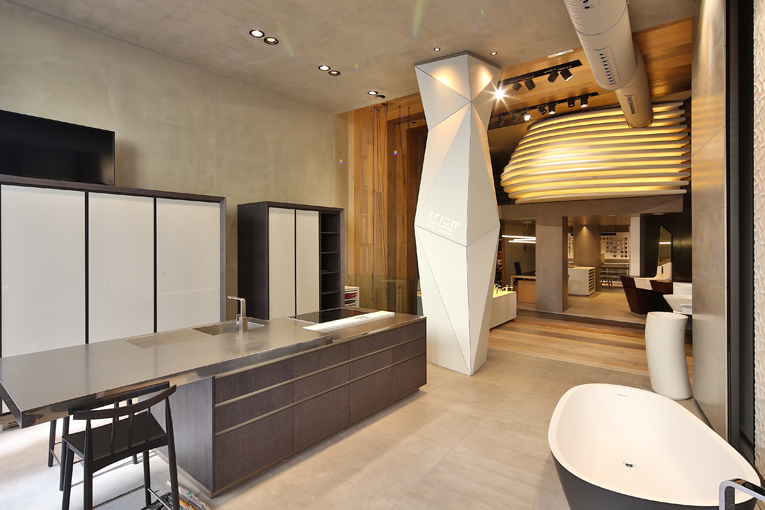 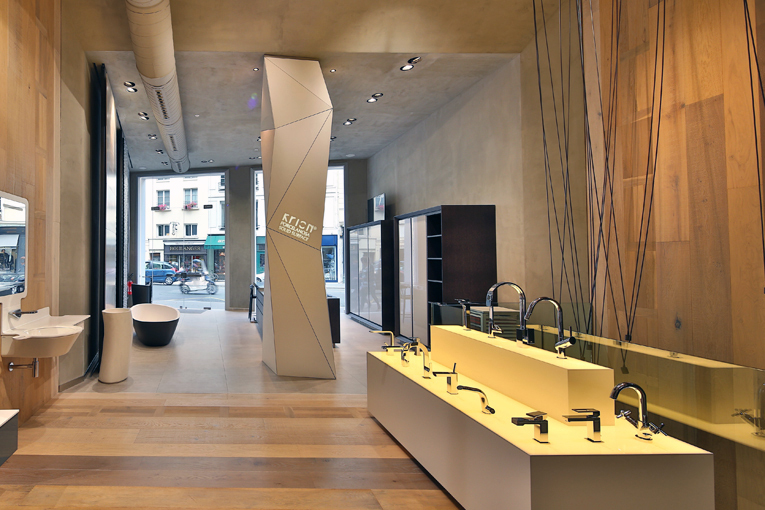 New proposals by companies at PORCELANOSA Group are now within the Parisian publics reach, after the new shop opened in the French capital last November, catching the attention of the professional public for whom it was especially designed. 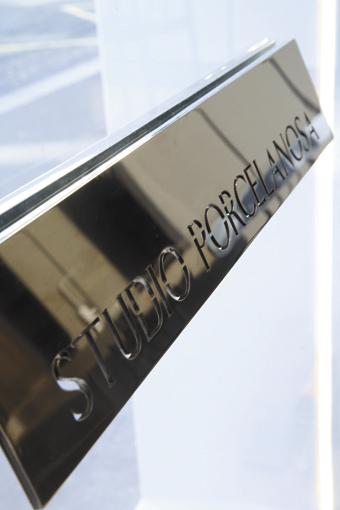 With the new company facilities, located in the central «Rue du Bac», in the Saint Germain des Prés quarter, PORCELANOSA Group has created the perfect space for architects and interior designers to learn about the Group’s construction solutions, the most innovating materials, and exclusive and avant-garde proposals. 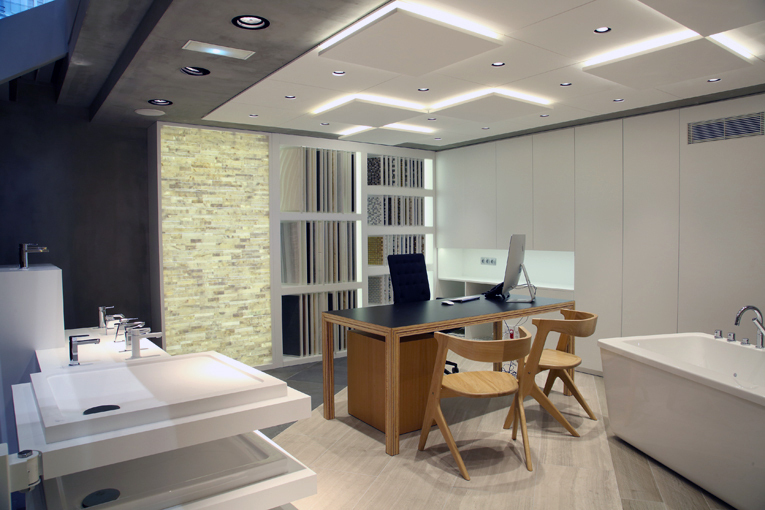 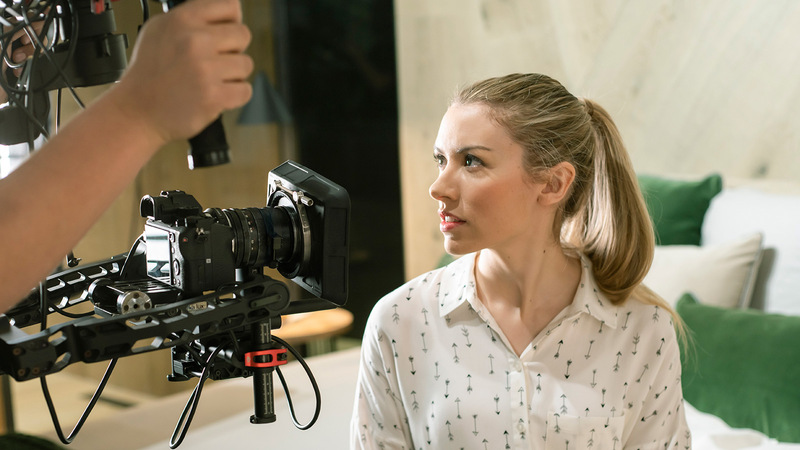 All of this comes with the best advice from our experts who are able to find the best solution for each and every specific project. 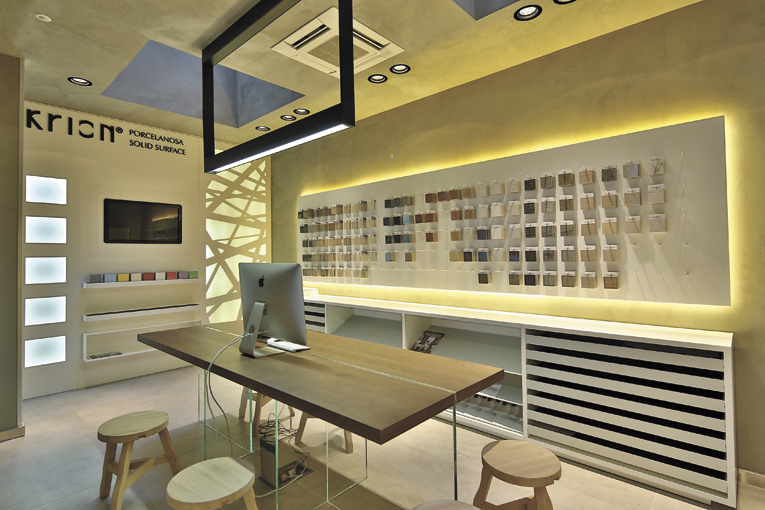 The new space’s design is one of its distinctive features as all detail has been taken into account in order to exhibit the latest trends in interior design; from bathroom equipment and taps by Noken and Systempool, furniture and dressing rooms by Gamadecor, construction solutions and façade systems by Butech, natural materials by L’Antic Colonial and ceramic floorings and coverings by Porcelanosa, Venis and Urbatek. 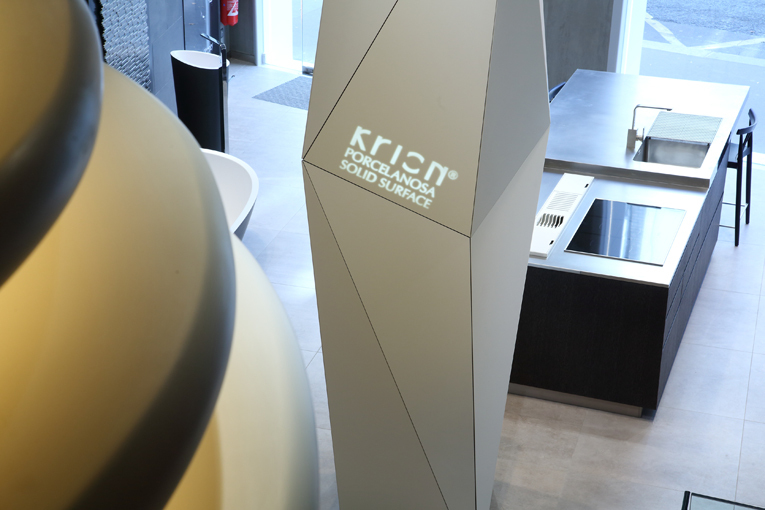 A prominent position within the exhibition area is occupied by the solid surface by Systempool, as they have used the material to create a column formed by triangular Krion® piece combination; creating a very contemporary edge and volume effect.